Transformed from the lush rolling countryside, Honey Run Golf and Country Club opened in 1971 and has since been considered by many to be one of the best layouts in Central Pennsylvania. The course features a 6797 yard, Par 72 course with water coming into play throughout the property. 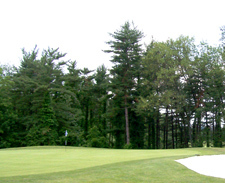 The large, conditioned greens are well bunkered and offer a challenge for golfers of all skill levels. NEW for the fall of 2012. Honey Run now offers full beverage services onsite with a newly aquired liquor license. Come and see for yourself!